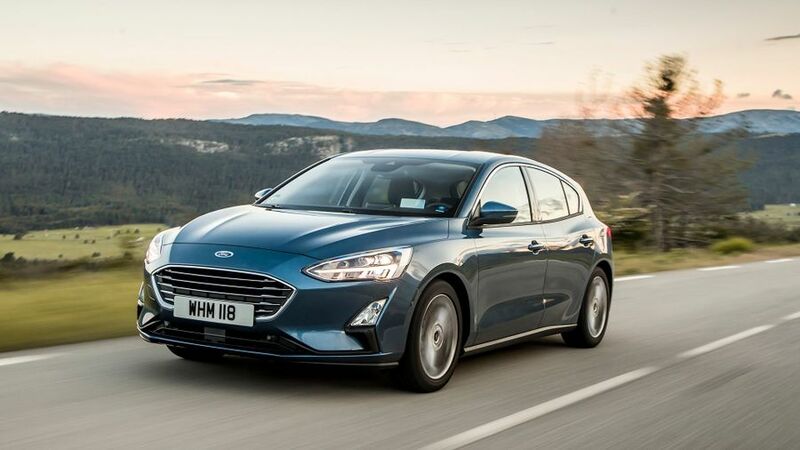 The Ford Focus has traditionally been the keen driver’s choice in the family hatchback sector, and the latest car follows that theme, with a seriously polished driving experience that’s as comfortable as it is engaging. It still can’t match the best-in-class for interior quality or styling flair, but it does a very solid job in every other area, making it a fabulous all-rounder. Don’t buy your next family hatch without giving this a look first! This combination of engine and trim will absolutely fly out of showrooms. This version gets you more than 80mpg according to official figures. Do yourself a favour and spend a bit more on a few more creature comforts. The first Ford Focus was a real ground-breaker when it came to design, but subsequent models haven’t been quite so arresting to look at. 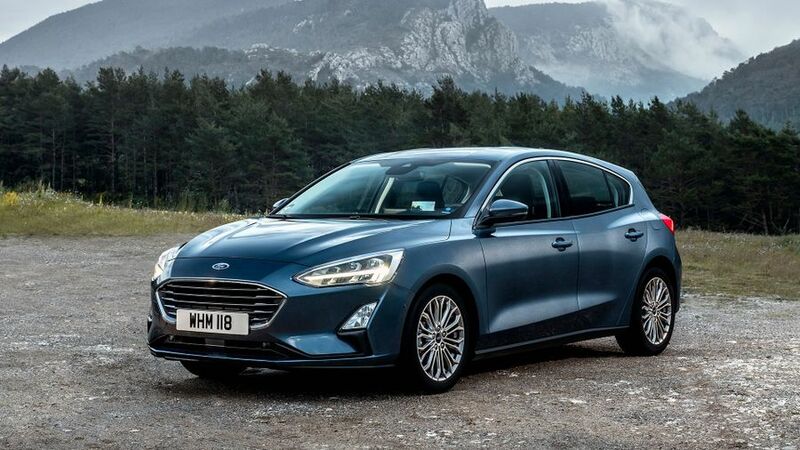 Judged in isolation, the new Focus is a smart-looking, nicely proportioned car, but the overall design is very derivative, and doesn’t really mark itself out from rivals like the Seat Leon, Hyundai i30 or Vauxhall Astra. Put it this way; if some scally were to replace the Ford badge with a Kia or Toyota one, you’d probably struggle to tell. 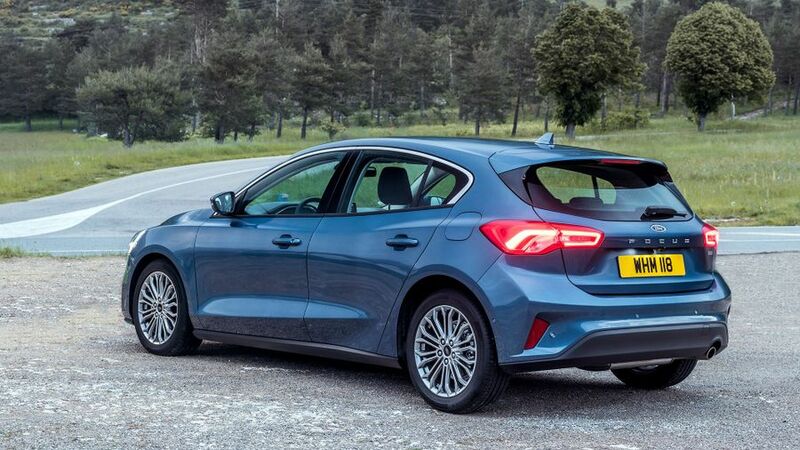 Even entry-level Style versions come with alloy wheels, LED daytime running lights and colour-coded bumpers, mirror housings and door handles, while Zetec cars also have front foglamps. Titanium cars have LED rear lights, Titanium X adds rear privacy glass, while ST Line cars have a sporty makeover including a large rear spoiler, polished twin tailpipes, and a body kit. ST Line X cars have red-painted brake calipers, while the Vignale range-topper has LED headlights and foglights, plus a unique grille design and bespoke badging. Previous Focus models have struggled to match their best rivals for interior quality, and that proves the case once again. 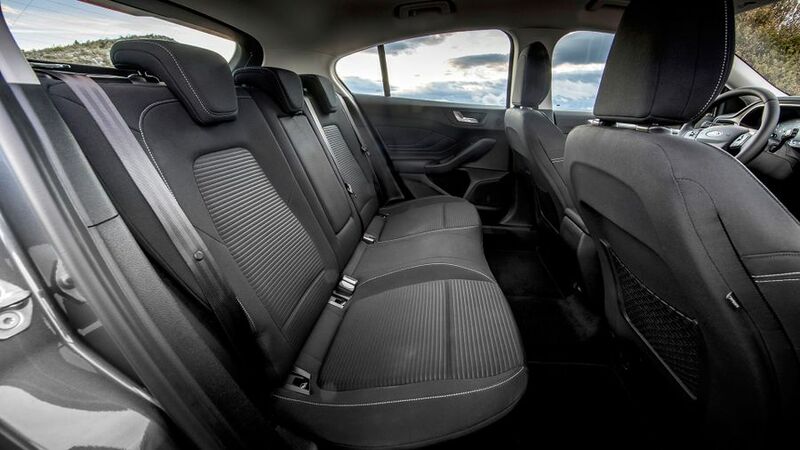 The materials used are absolutely fine, and should prove fairly hard-wearing, but most of the surfaces don’t have the tactility or texture to cut it with those in, say, a Volkswagen Golf. 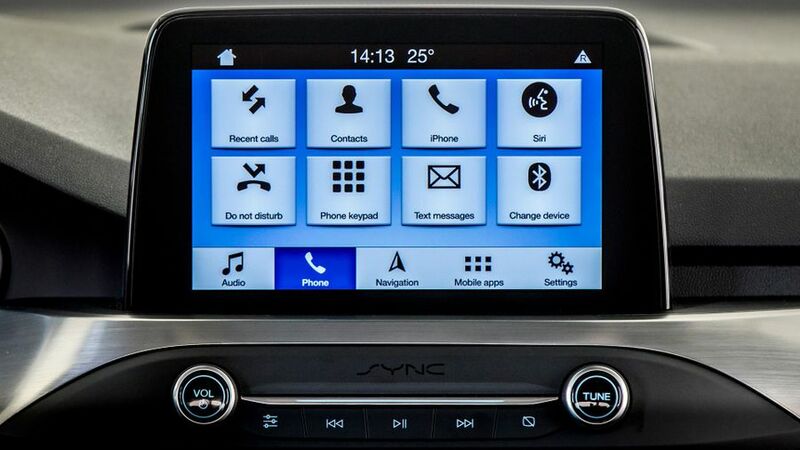 The touch-screen infotainment system will take a bit of getting used to, but after some playing about, it soon becomes second nature. The rest of the dashboard has a fairly sensible layout, too, although there are still more buttons than you’ll find in many competitors, and the steering wheel is also festooned with the things, which can be a little bamboozling when you’re trying to use the trip computer. That said, there’s lots of adjustment, so it’s easy to find a comfy driving position, and visibility is pretty clear in every direction, with no major blind spots. The Focus doesn’t quite dazzle in this area, but it does do a very solid job indeed. Despite the exterior dimensions being virtually unchanged compared with the last car, there is a good bit more cabin space, and that’s particularly noticeable in the back. Legroom is generous and headroom is adequate, and the wide cabin means there’s more shoulder room than in many competitors. This aspect will only really come into play when you’re carrying three people across the rear bench, and the wide middle seat and flat transmission tunnel will help on that score, too. The boot is a very presentable size at 375 litres, and although there is a load lip you’ll have to lug heavy items over, it’s only small. The rear seats drop to extend your cargo space to 1354 litres (which is pretty par-for-the-course), and you’re left with an almost-flat load floor with no steps in it. This is the area where previous Focuses have always excelled, and happily that’s still the case here. It feels sophisticated and grown up at all times, because the ride is compliant, comfortable and superbly controlled at all speeds, while exterior noises are also extremely well isolated. And despite that impressive comfort, you still have every ounce of trademark Focus agility. There’s bags of grip, body movements are really well tied down, and the steering gives you quick responses and a decent amount of feel. The car flows really nicely from bend to bend, giving you a feeling of safety, as well as putting a smile on your face. What’s more, that’s all on the most basic suspension setup on offer. 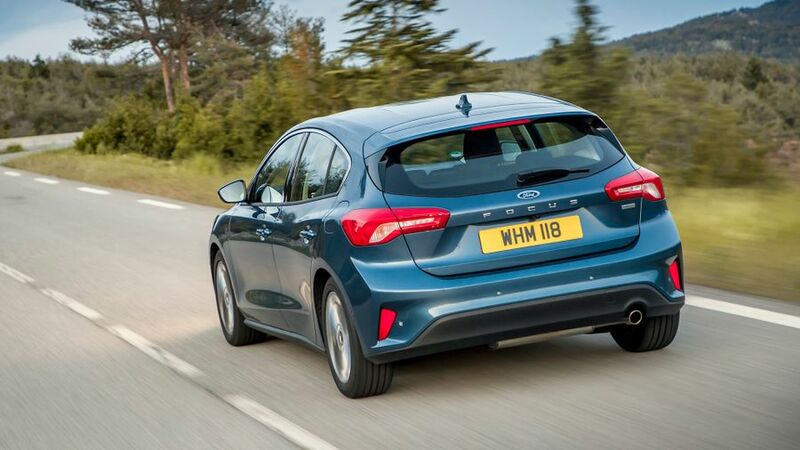 Cars with the bigger petrol and diesel engines have a more sophisticated setup on the rear end, and although the ride is even smoother with this arrangement fitted, the difference is very marginal indeed, so whatever Focus you pick, you’ll have a car that’s fabulous to drive. The options list also offers an adaptive suspension that alters its behaviour according to which driving mode you select, but we haven’t had a chance to try it yet. All Focuses have driving modes that alter things like steering weight and throttle response, but while you can feel the differences the modes make, they don’t really make the Focus any more engaging to drive. Good job it’s already pretty engaging in the first place. Petrol choices include turbocharged 1.0-litre three-cylinder engines with either 85-, 100- or 125 horsepower, and 1.5-litre units with either 150- or 182 horsepower. So far, we’ve tried the most powerful versions of each. The 1.0-litre is the one most buyers will choose, and it does a thoroughly decent job. You have to keep the revs high, because it feels rather flat below 15000rpm and doesn’t really wake up until you’re upwards of 3000rpm. However, it’ll be flexible enough for most drivers, and it’s also capable of pretty decent acceleration when the need arises. You might not be a fan of the manual gearshift, though, which is rather notchy and clumsy. Oddly, the gearshift with the 1.5 engine is much sweeter and slicker, and predictably, there’s a good deal more performance on offer. It doesn’t feel quite as strong as the numbers suggest, but the low- to mid-range pull is stronger, making it much easier to maintain your progress. We’ve also tried a cracking little diesel engine: a 1.5 with 120 horsepower. It’s not particularly quick, and it’s not particularly keen to rev, but you wouldn’t expect it to be, and importantly, there’s always enough grunt there when you need it. Where it really impresses, though, is in how quiet and smooth it is. It’s so good that it puts the diesel engines in many big executive saloons to shame, and it contributes to an impressive level of refinement overall. You can have this engine with either a slick-shifting six-speed manual gearbox or an eight-speed automatic gearbox, and again, it’s pretty good. It swaps gears smoothly and cleanly, and usually selects the right one, although it can occasionally get caught out if you suddenly ask for a bit of acceleration at short notice. This engine is also available with an output of 95 horsepower, while there’s also a 2.0-litre diesel with 150 horsepower, neither of which we’ve tried yet. This is a really key area with cars like the Focus, and as a result, the margins of difference are pretty slim. 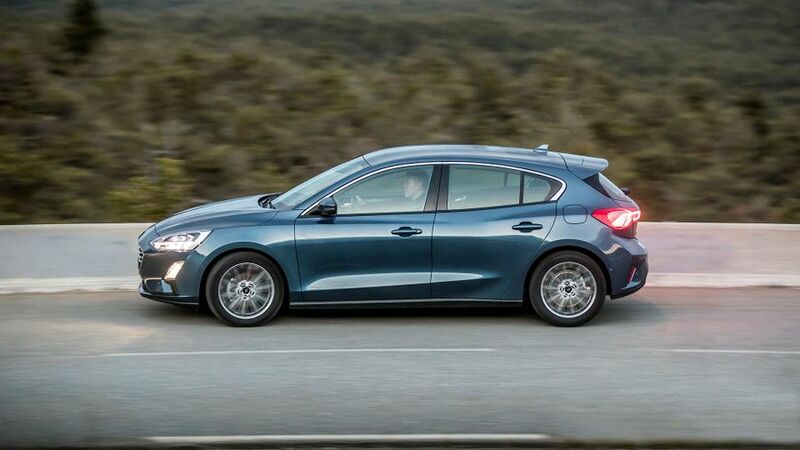 When judged on price, efficiency and resale values, the Focus is just about bang on with the Seat Leon, so it should cost roughly the same to own over a typical three-year period. The Volkswagen Golf is pricier to buy and not as clean as the Ford, but the VW’s superior resale values will even out that difference. And, while neither the Hyundai i30 or Vauxhall Astra are as efficient as the Ford, both cost a little less to buy. However, these differences are by no means deal-breaking, and if you decide on the Focus, you’ll be getting decent value for money, whichever version you buy. 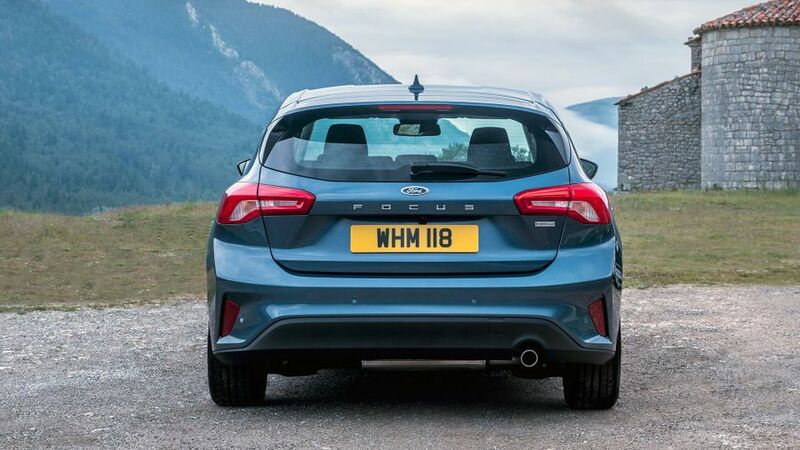 The latest Focus is obviously too new for there to be any meaningful reliability data available, and because it bears very little mechanical resemblance to the previous Focus, looking at the performance of that car can only tell us so much. However, the owner reviews on our site paint a largely positive picture of life with the previous Focus, with very few horror stories reported, and the car has a pretty good score in the Warranty Direct Reliability Index, too. The car sits comfortably within the Top 100 cars in the study, while Ford also sits comfortably in the top half of the manufacturer standings. The Focus has been awarded a five-star crash test rating by the experts at Euro NCAP. You can see why, too, because standard safety kit across the range includes automatic emergency braking, electronic stability control, hill start assist and a system that locks the brakes on after an accident to help prevent any further impacts. It also has MyKey as standard, which is a programmable fob you can give to your kids when they drive the car, and it allows you to set maximum thresholds for things like speed and stereo volume. Blind spot monitoring is available as an option across the range, and on most versions, you can also specify a Driver Assistance Pack, which brings together traffic sign recognition, automatic high-beam lighting and adaptive cruise control with lane centring. Even the entry-level Style car comes with a decent amount of standard equipment, with four powered windows, automatic lights, remote locking, manual air-con, DAB radio and Bluetooth all as standard. 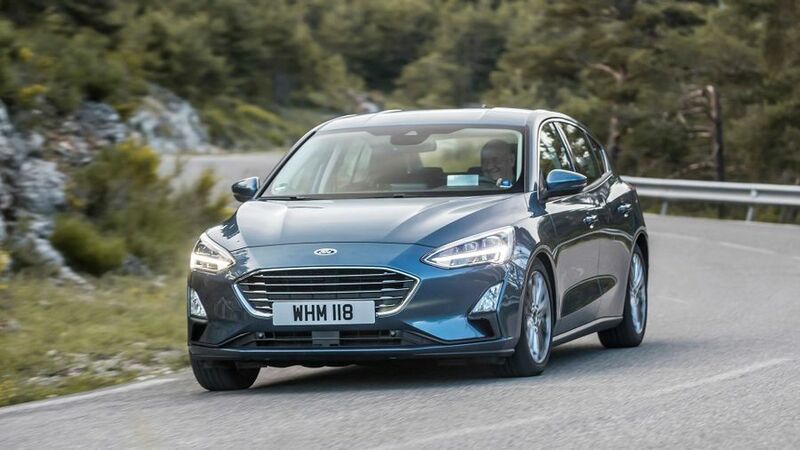 Most buyers will want to upgrade to Zetec trim at the very least, though, as it provides cruise control, leather trims for the steering wheel and gearknob, a heated windscreen and a touch-screen infotainment system. ST Line trim adds a sports suspension and keyless start to the sporty makeover it gives you, while ST Line X cars have all sorts of luxury extras including climate control, front- and rear parking sensors, part-leather trim, heated front seats, a powered driver’s seat, rain-sensing wipers and a bigger touch-screen complete with sat-nav. Titanium forgoes the sportiness of the ST Line X, but gets most of the same luxury kit. You do have to upgrade to Titanium X if you want the part-leather trim and electric driver’s seat adjustment. 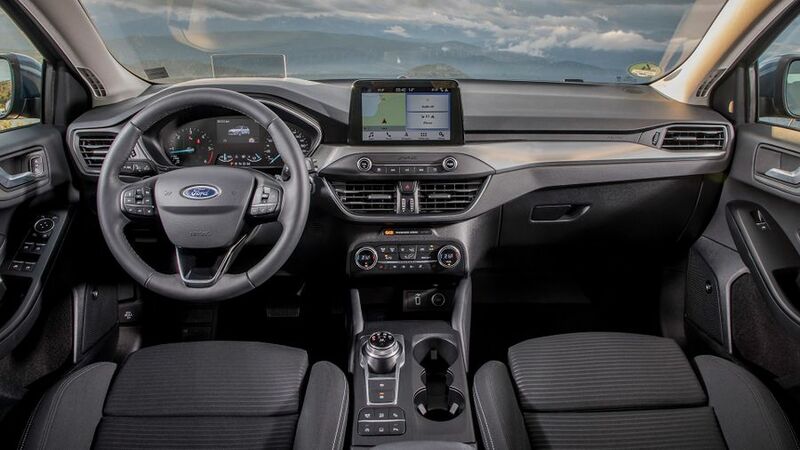 The range-topping Vignale model gives you all sorts, like full leather upholstery, a rear camera, LED ambient lighting, a head-up display, a heated steering wheel, active noise cancellation, an upgraded stereo system and a system that pretty much parks the car for you. Because it does an exceptional job in one area – driver enjoyment – and a very solid job in most others. It’s a very impressive all-rounder that’ll fit seamlessly into the life of any small family. 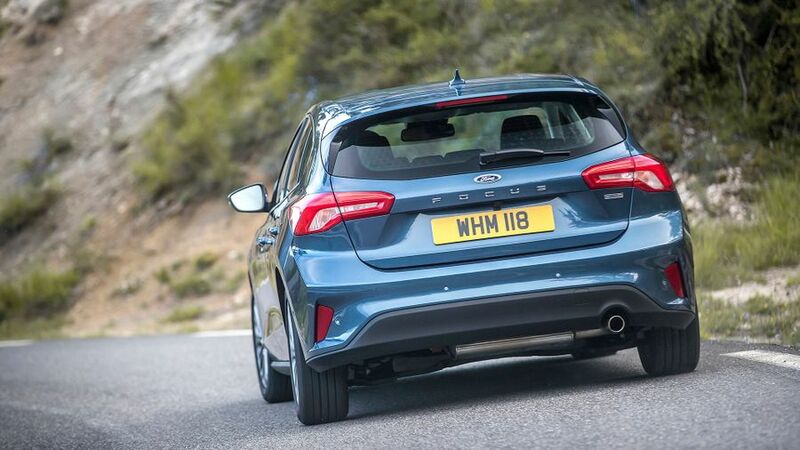 SUVs might be all the rage at the moment, but the Focus proves the humble hatchback still has plenty to offer.